The global market for industrial emission control systems is witnessing a high growth in the recent past on account of growing stringency of environmental regulation standards. 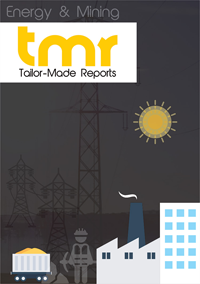 The growth of the coal power industry in developed nations will also help drive the growth of the industrial emission control systems market. The flourishing construction industry is driving the growth of the cement industry and this in turn will aid the growth of the global industrial emission control systems market. Rapid industrialization has fueled environmental concerns as global warming is posing serious issues and our future could be at stake. Thus, global warming has become a focal point of global geopolitics and industries worldwide are working towards implementing emission control systems to adhere to stringent regulations. This is one of the most important drivers for the growth of the global industrial emission control systems. Some of the factors restraining the demand for industrial emission control systems include the growing preference for alternate fuels for power generation in a bid to reduce dependency on coal, in developed nations of Europe and the U.S. However the increasing prevalence of health issues on account of the industrial emissions will ensure the demand for industrial emission control systems. In addition to this, replacement of older devices which control emissions will create a heightened demand for these systems and push the growth of the market. The demand for energy is increasing with rising population and this will drive the coal power industry, which in turn will enhance the growth prospects of this market. The sources of static pollution in industries are refineries, cement plants, power plants, and smelters. They release harmful contaminants into the atmosphere, thus polluting it. These contaminants are required to be controlled employing various effective technologies. These systems are known for destroying the contaminants produced either by catalytic or thermal combustion or by converting toxic contents into less harmful chemicals. These processes are done by the use of processes such as selective catalytic reduction. Industrial emission control systems keep a check on the level of emissions from industries by employing different technologies based on the type of contaminant emitted from the source and the level of efficiency required. Rising levels of nitrogen oxide, sulfur dioxide, and harmful particulate emissions have triggered alarms in order to prevent environmental damages. As a result of this, the adoption of industrial emission control systems took a boost. In 2016, WHO stated in a report that 80% of the people living in urban areas are exposed to air quality levels that surpass the World Health Organization limits. According to the air quality database, around 98% of cities in middle and low income countries do not meet the air quality guidelines of WHO. However, in high income nations, the percentage is around 56%. Environmental concerns owing to robust industrialization coupled with the risks of global warming have given rise to issues for sustainable development in future. Global warming has turned out to be the main focus of global geopolitics. As a result of this, industries across the globe are striving towards installing emission control systems in order to adhere to strict regulations imposed by governing and organizational bodies pertaining to the negative impact that the emission of harmful wastes has on the environment. It has become imperative for industries to deploy technologies that perform elimination, conversion, and collection of harmful substances emitted by industries. Thus, this has stimulated the growth of the global industrial emission control systems market. Furthermore, as governments across the globe are striving to decrease the damage caused by industrial emissions, they are collaborating with several environmental organizations in order to develop standards to manage the level of emissions from industries. This is further expected to trigger the demand for industrial control systems. One of the leading companies operating in the global industrial emission control systems market, BASF, consolidated the operations of its chemical catalyst refining and recycling to a production facility in South Carolina named Seneca in 2015. In the same year, BASF Catalyst LLC also entered into a joint venture agreement with TODA KOGYO Corp. by establishing BASF TODA Battery Materials LLC. Since then, it has been focusing on the development of customized industrial emission control systems. Another major agreement was signed between DuPont and Lundberg to develop and supply exclusive air pollution control system for refining petrochemical plants and coke calciners associated with it. Region-wise, the market for industrial emission control systems can be segmented into Europe, North America, Asia Pacific, and the Rest of the World. Owing to robust industrial development in Italy, Spain, and France. Increasing pollution caused from industries in India and China is expected to bode well for the market growth in Asia Pacific. North America is anticipated to emerge as lucrative region owing to the presence of leading companies in the region. With the mergers and acquisitions in the go and initiatives to develop innovative products, companies are striving to gain a leading position. Some of the key players are BASF, John Matthey, Alstom Group, Babcock and Wilcox Enterprises, and Mitsubishi Hitachi Power Systems Limited.